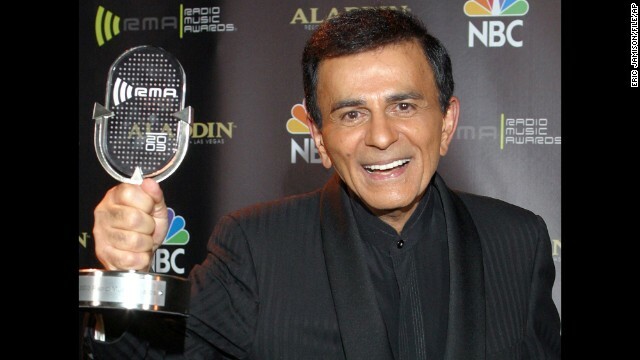 Broadcasting icon Casey Kasem dies at age 82. The Obama administration faces a full-blown foreign policy crisis in Iraq. There's a whooping cough epidemic in California. And the United States opens World Cup play today. Dominoes: One by one, Iraqi cities seem to be falling to a militant group. What's happening in Iraq now has all the makings of a civil war - and a full-blown foreign policy crisis. The Obama administration is exploring possible direct talks with Iran over the deteriorating situation, two senior U.S. officials tell CNN. It would make a strange pairing because the United States and Iran don't have a lot of common interests - other than a stable Iraq. Both Iraq and Iran have Shiite Muslim-led governments. Broadcasting icon: Casey Kasem, who entertained us for almost four decades as the host of countdown shows such as "American Top 40" and "Casey's Top 40," died over the weekend. He was 82. In addition to his radio and TV programs, he also provided the voice for a number of cartoon characters, including Shaggy on "Scooby-Doo," and Robin on "Super Friends." How did it happen? : A U.S general will begin his investigation this week into how and why Army Sgt. Bowe Bergdahl left his base in Afghanistan five years ago, resulting in his capture, a senior Pentagon official says. Bergdahl, 28, returned to a U.S. Army medical facility in San Antonio, Texas early Friday. He was released by the Taliban on May 31 in a controversial prisoner exchange. Nothing to sneeze at: There's a whooping cough epidemic underway in the United States, especially in California where 800 cases have been reported in the past two weeks alone. The state health department says there were 3,458 whooping cough cases reported between January 1 and June 10, well ahead of the number for all of 2013. There are smaller outbreaks in other parts of the country. Basketball and soccer ball: One championship winds down as another heats up. First to the NBA, where San Antonio claimed its fifth title by bouncing Miami 104-87 last night. San Antonio dominated the series, winning four games to one. Each Spurs victory was by at least 15 points. Now to the pitch, where the United States opens up its World Cup play today against its nemesis, Ghana. The Black Stars have knocked the U.S. out of competition the last two go-rounds - in 2006 and 2010. It only gets harder from here on out. Over the next couple of weeks, the U.S. takes on two giants: Germany and Portugal - ranked as the 2nd and 4th best teams in the world. - Who's home? : As we put the wraps on Father's Day 2014, check out this compilation of kids happy to see daddy come home. –Birdie buzz: Mom sure picked a strange place to feather her nest. It's right in the middle of a 115,000-volt substation. - Russian roofs: Some blustery winds shred the shingles from these buildings in Russia. - Jerk Chicken: When our feathered friends act this way, it leaves us in a fowl mood. - Let me in: How many cats do you know that knock when they want to come in? Now you know at least one. If the US involves itself in the current Iraqi mess, it will stand guilty of favoring one Islamic sect over another, thus instantly creating a whole new host of implacable enemies and potential terrorists. Of course, our leaders fail to recognize this simple fact and will stumble yet again on the road paved with their failed mideast policies. Drones in the air will mean dozens, if not hundreds, of innocent 'collateral' deaths. Why would people in the USA root against the USA? That is an odd statistic and I think loaded. I know that we do not care much for soccer, but I don't know anyone who would openly root against the USA. Argentina,the U.S. and Iran are the most disliked at the World Cup? In means of countries and the order they are listed in the statement or due to their competitiveness or both? Our understanding is that these three countries are the ones most other countries are rallying against, so that their respective favorites win the Cup.